Hydraflore Smoothing Cream 1st Wrinkles Rose Eclat has a creamy texture and delicate scent. It plumps the skin, smooths wrinkles and evens out skin tone, making the skin soft, plumped and glow with radiance. The effectiveness of the whole range of Hydraflore Rose Eclat is due to the quality and concentration of active ingredients. It was developed around the extraordinary properties of the Rose of Damascus. The hydrosol and essential oil obtained from the flower petals of this millennium have anti-aging properties and give a delicate fragrance. They are also particularly well tolerated by the skin, to mitigate redness and irritation. Ceramides are naturally present in the epidermis. They help with skin hydration and protection against external aggressions. However, their concentration decreases with time, leading to severe dehydration and slower cell renewal. We therefore added wheat ceramides our formulas, obtained by extraction of ripe wheat grains, for their lipid profile is remarkably similar to that of the skin. They give the skin a healthy and luminous appearance. Use: Apply morning and evening on face and neck in light circular motions upward, alone or combined with Smoothing Serum for Enhanced Action. Can be used day and night and is an excellent makeup base. 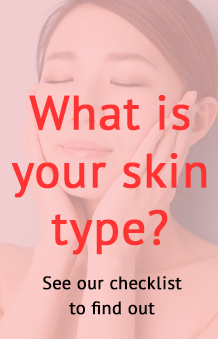 Aqua, Aloe barbadensis leaf juice *, Sesamum indicum (Sesame) seed oil ***, Corylus Avellana (Hazel) seed oil ***, Rosa Damascena (Rose) flower water *, glyceryl stearate, Glycerin **, Dicaprylyl carbonate , Titanium dioxide, Candelilla / Jojoba / Rice Bran Polyglyceryl-3 Esters, Sodium stearoyl glutamate, Hydrogenated vegetable oil, Argania spinosa (Argan) *** kernel oil, Triticum vulgare (wheat) gluten extract, Centella asiatica extract *, Rosa damascena flower oil, Aniba rosaeodora (Rosewood) wood oil, Pelargonium graveolens (Geranium) leaf / stem oil *, Triticum monococcum extract *, microcrystalline cellulose, Arginine, Lactic Acid, cetyl alcohol, cetearyl alcohol, sodium stearoyl lactylate, Xanthan Gum, tocopherol, Chondrus crispus (Carrageenan) extract, Parfum (Fragrance), Sodium hydroxide, Cellulose gum, Dehydroacetic acid, aluminum hydroxide, sodium benzoate, potassium sorbate, Citric acid, Benzyl alcohol, Benzyl benzoate, Benzyl salicylate, Citral, Geraniol, Limonene, Linalool. 34% of total ingredients are from organic farming. 16% of the total ingredients from fair trade.